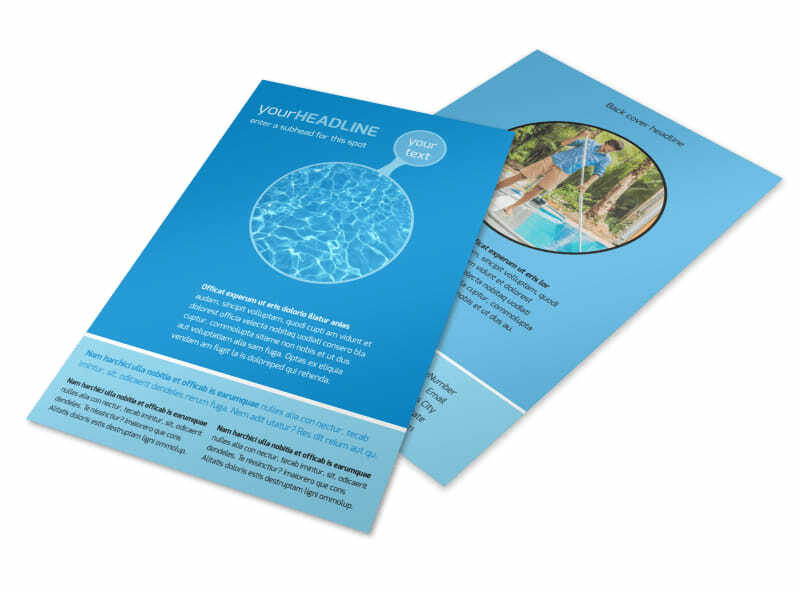 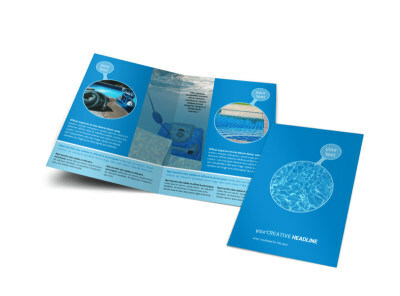 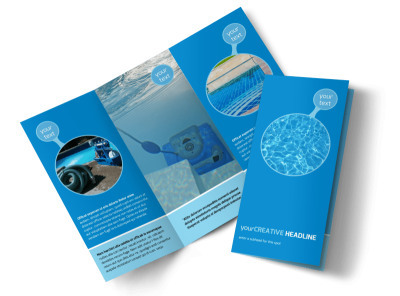 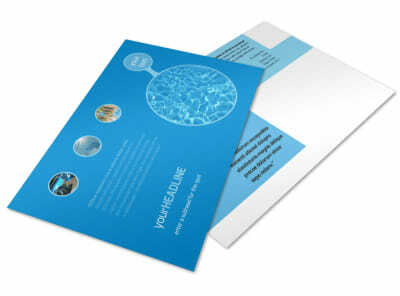 Customize our Residential Pool Cleaning Flyer Template and more! When frog families take over area pools, provide a message of hope with residential pool cleaning flyers. 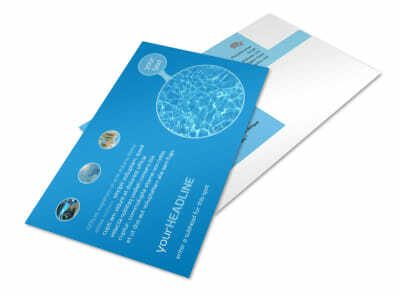 Detail your services for ongoing and one-time maintenance and cleaning, and provide before-and-after photos of previous jobs. 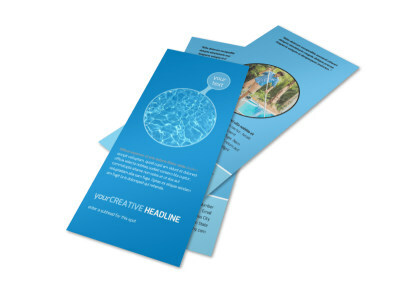 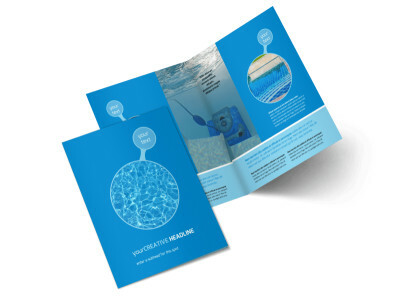 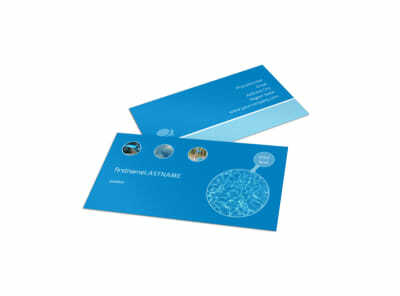 Point-and-click to make your customizations, and then print your flyers from anywhere for quick access to these powerful marketing tools.